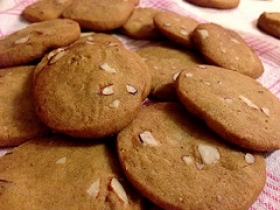 Have you made Butter Rum Cookies? 1. 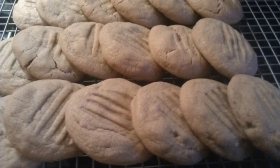 In a medium mixing bowl stir together flour, baking powder, nutmeg and salt; set aside. 2. 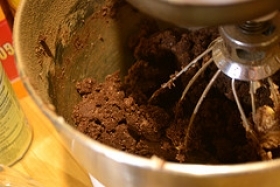 In a large mixer bowl beat butter with an electric mixer on medium speed for 30 seconds to soften. 3. Add brown sugar and beat till fluffy. Add egg and rum extract or vanilla and beat well. 4. Gradually add flour mixture, beating till combined. 5. If necessary, cover and chill about 1 hour or till easy to handle. 6. Shape cookies as desired. 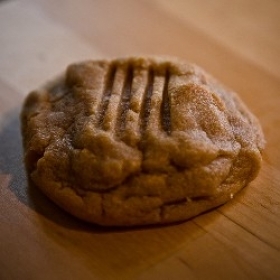 To bake, transfer dough shapes to an ungreased cookie sheet, placing about 1 inch apart. 7. Bake in a 350 degree F oven for 8 to 10 minutes or till slightly brown around the edges. 8. Transfer cookies to a wire rack to cool. Makes about 50 to 60 cookies. 9. Shaping Directions: PISTACHIO BALLS: Roll dough into 1-inch balls. 10. In a shallow bowl place about 1 cup finely chopped pistachio nuts. 11. Roll dough balls in chopped nuts, coating thoroughly. 12. Bake as directed. BITE-SIZE TARTS: Roll dough into 1-inch balls. 13. Place balls in 1 3/4-inch muffin pans. With fingers, press dough to cover bottom and sides of cups. 14. Fill each muffin cup with about 1 teaspoon cherry or apricot preserves. 15. Bake as directed; cool. Drizzle tarts with Vanilla Icing. 16. PINWHEELS: On a lightly floured surface, roll half of the chilled dough to a 15 x 12 1/2-inch rectangle. 17. Cover and chill remaining dough till needed. With a sharp knife, cut into thirty 2 1/2-inch squares. 18. Arrange 1/2 inch apart on an ungreased cookie sheet. 19. Place a scant teaspoon cherry or seedless raspberry preserves in the center of each square. 20. Cut 1-inch slits diagonally from each corner toward filling. 21. Fold every other tip over to cover filling, forming a pinwheel. 22. Press the center lightly to seal. 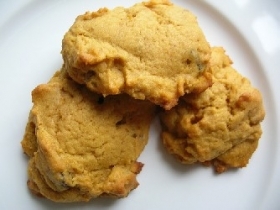 If desired, repeat with remaining half of dough or use remaining dough to make another cookie shape. 23. Bake as directed and cool. Before serving, dust with powdered sugar. 24. CHRISTMAS CUTOUTS: On a lightly floured surface, roll half of the dough at a time to 1/8-inch thickness (cover and chill remaining dough till needed). 25. 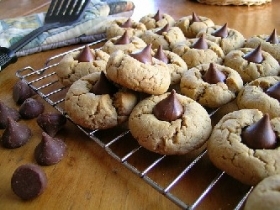 With cookie cutters or a small sharp knife, cut dough into desired shapes. 26. Reroll dough scraps to make more cookies. Use a thin spatula to transfer cutouts to baking sheet. 27. 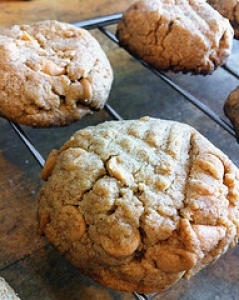 If desired repeat with remaining dough or use remaining dough to make another cookie shape. 28. Bake as directed and cool. With a small clean paintbrush (used only with food) or knife, paint or spread cooled cookies with tinted Vanilla Icing. 29. Decorate cookies with tinted Decorator Frosting, red cinnamon candies, and small multicolored decorative candies, if desired. 30. Vanilla Icing: In a small mixing bowl stir together 3 cups sifted powdered sugar, 1 1/2 teaspoons vanilla, and 2 to 4 tablespoons milk to make of spreading or drizzling consistency. 31. To tint icing, stir in food coloring for desired color. 32. To use more than one color, divide icing into small bowls and stir a different color into each bowl. 33. Makes about 1 1/2 cups. Decorator Frosting: In a large mixer bowl beat 2/3 cup margarine or butter with an electric mixer on medium speed for 30 seconds to soften. 34. Gradually add 4 cups sifted powdered sugar, beating well. 35. Beat in 2 tablespoons milk and 1 teaspoon vanilla. 36. Frosting will be thick but spreadable. To tint frosting, stir in as much food coloring as needed for desired color. 37. To use more than one color, divide frosting among several small bowls; stir a different color into each bowl. 38. Transfer icing to a pastry bag fitted with a small round tip or star tip. 39. (Use one bag per color or clean the pastry bag before using another color. This recipe contains potential food allergens and will effect people with Wheat, Egg, Butter, Gluten, Natural Sweeteners, Alcohol allergies.